Years 5 & 6 have had a fantastic time learning to be rock musicians during their 10-week rock-school project. Pupils had the opportunity to try a range of instruments, including bass guitars, lead guitars, keyboards and ukuleles. They are such rock-stars that, by the end of the project, they were able to play "Highway to Hell" by AC/DC. They finished the project with a fantastic performance for their parents and the rest of the pupils in school. Rock On! 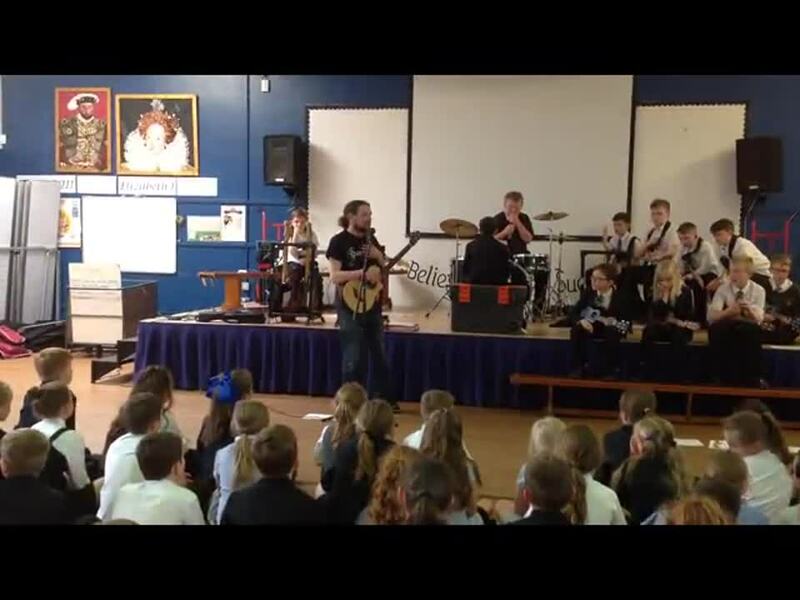 Watch years 5&6 perform `Highway to Hell' for years 3&4. If you want to skip to the final performance, it starts after approx. 9 minutes. For full-screen view, click on the icon at the bottom right of the video screen.